Hey Beautiful! : Have you ever felt nervous in a makeup store? Do you have a bunch of makeup products that you don’t even know what they are, or how you can use them? Do YOU want to know how to quickly and effectively apply makeup, leaving you looking flawless regardless of skin type or age, and without using 942 different products for one look? Did you know that a 2016 study showed that women who wear makeup make $4,000-$6,000 than women who don’t? Could you use a few more thousands of dollars per year? Were you aware that a 2017 study at Harvard showed that women who wore makeup performed significantly better on tests? What would you like to perform significantly better on? These statistics are NOT just because society is superficial. It’s because if you look better, you feel better, and if you feel better, you do better. …Then you will want to learn my foolproof, easy-to-follow & proven system that will not only leave you looking your best, but feeling your best! Do you often feel too busy to do your makeup? Have you ever felt frustrated that you do not have a ton of makeup knowledge to quickly and easily wear the look that you deserve? Would you like to easily master the ‘art of makeup’ quickly – completing your makeup routine in under 10 minutes? If you answered yes, to any of those questions, you’re not alone. In fact, you are most definitely the norm. knowing how to do different makeup looks ranging from a 5-minute look to a more formal date night/event look, with specific tips for specific features! Knowing exactly the tools to confidently and appropriately do your makeup without using 94598 different products for one look, so you feel your best because you look your best. …Imagine if you could turn this dream into your reality? And imagine if it could become your reality starting today? Right now, I want you to stop imagining the dream and start living it! That’s because you’re about to discover how you can make it happen for yourself and your life. You’re about to discover the “never before seen” course that will quickly help you, through step by step instructions, on how to achieve various looks taught by Mandie Brice, a professional makeup artist with years of experience! Since her entry into the modeling industry in 2003, Amanda Brice (known to her friends as “Mandie,” even though she begrudgingly admits to be named after Barry Manliow’s hit “Mandy”) has come a long way. She has been published internationally multiple times, amassed an impressive, varied, and constantly growing portfolio. Print modeling led to spokesmodeling, hosting, and some acting in commercials and featured extra work in web series programs. She has also had the privilege of traveling to glamorous places, such as Paris (France, not Texas), New York City, Las Vegas, Los Angeles, and Gary, Indiana. She has also used her experience in the modeling industry, and the amazing collaborations therein, to hone her skill as an internationally-published makeup artist with celebrity experience. She was part of the Temptu Pro team of airbrush makeup artists, freelanced for brands like Smashbox, L’Oreal, and NARS, and had her own lipgloss line. Throughout the years as a model and makeup artist, she was also teaching… Middle school Math (in English and French), Social Studies (in English and French), English (only in English), High School French (only in French), and Journalism, to be exact! She also has completed most of her coursework for the Master’s in Urban Education Degree at Mt. Mary University, and just has her thesis to complete. So you know she knows how to teach! Mandie has also turned her love for fitness, nutrition, and helping people into another career as a healthy lifestyle coach! Her passion for helping others, and obsession with personal development and motivation led to her starting her podcast, the Bold Moves Podcast. 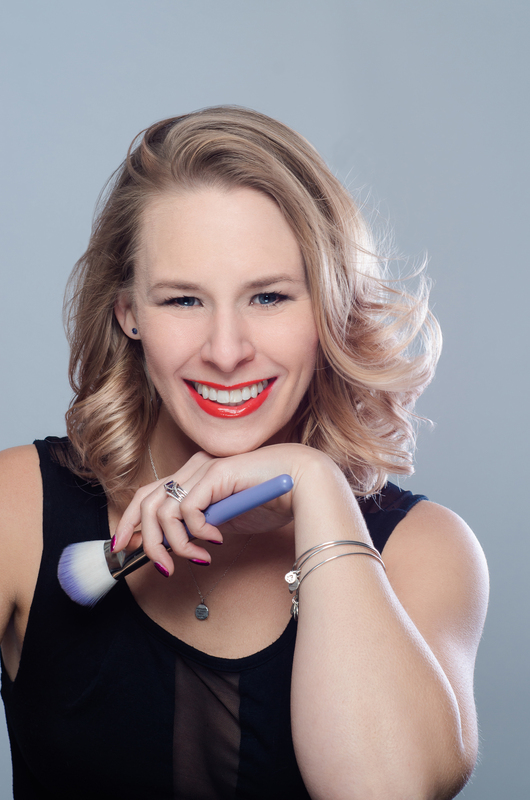 It seemed natural that Mandie combine her passion for teaching, helping others, and her knowledge of makeup into a course to help YOU feel confident and beautiful! You’re about to get access to one of the easiest to follow, most in-depth, real world & quick makeup applicable training programs out there! It’s virtually impossible not to feel amazing and be ready to step your game up after becoming part of the Academy Family. That’s because you are being introduced to “Mandie’s Makeup Mastery Academy”, a makeup training program specifically made to YOU! You who are busy and may not have a ton of makeup knowledge to quickly know how to do makeup looks ranging from a 5-minute look to a more formal date night/event look, with specific tips for specific features. * Have the skills to quickly create timeless, sensual, sophisticated and alluring looks regardless of skin color, race or age. * Discover step by step instructions on how to achieve various looks taught by professional makeup artist, Mandie Brice. * Have hands-on practice using techniques that are specific to your face shape, skin type, and personal preferences. This course approaches makeup from both theory and practical learning structures. In this course, I will show you the step-by-step basic directions for quick makeup application and easy-to-follow expert techniques for applying everyday makeup, no matter what your experience level is. This new & simple to follow course teaches real students like you how to effectively and quickly apply makeup in under 10 Minutes without feeling stressed, worried, or failing. There are even modules for all ages, races, and looks! The great news is that it won’t cost you an arm and a leg to achieve all these and others that this course offers! 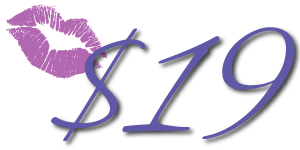 In fact, right now I have a fantastic, limited time only offer that is available only if you are among the first  women to order your package by the end of the week. Forget paying $99, $59 or anything like that! Don’t take my word for it, click the button below to get exclusive access Today! WAIT! Don't Leave Without Your Shopping Guide!